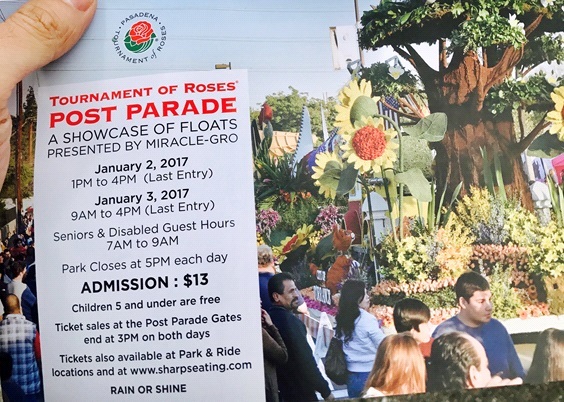 Palm Desert Resuscitation Education LLC (PDRE LLC) gladly participated and helped provide express “Hands-Only CPR” for the guests and float enthusiasts during the post-parade festivities of the Tournament of Roses Parade on January 3, 2017. 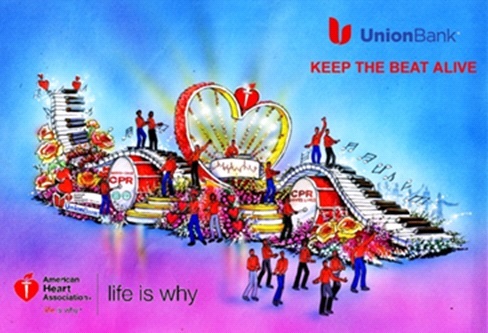 The American Heart Association (AHA) Western States Affiliate and Union Bank’s showcased their brilliant, colorful, and award-winning CPR themed float. The crowds and audience attending these post-parade festivities were immense. 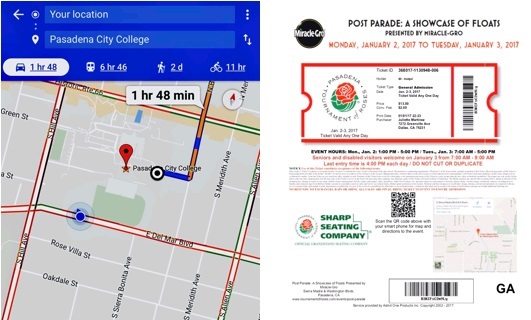 It took about one and half hours of waiting from Pasadena City College for the shuttles to take you to the floats a couple of miles away. These were only one of many crowds of guests and avid float enthusiasts waiting to see the beautiful showcased floats! 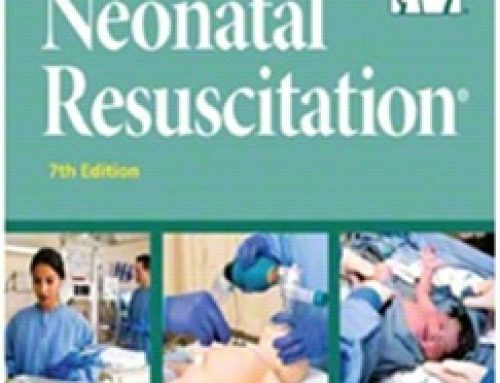 It was special in that it actually highlighted some children, teenagers, and young adults who saved someone in real life by performing high-quality CPR skills in addition to the lucky victims they saved from cardiac arrest. 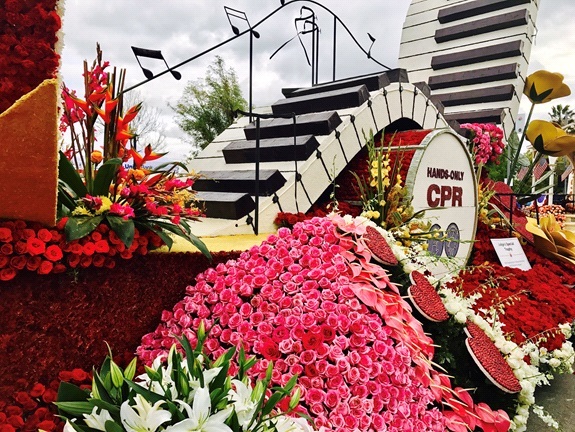 Most of all, the “Keep the Beat Alive” float honored the new California legislative bill that will mandate “Hands-Only CPR” training to high school students and teachers each year. 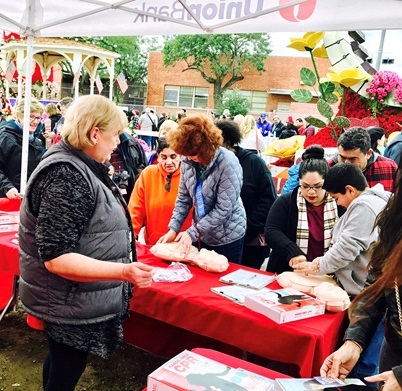 Moreover, Palm Desert Resuscitation Education, the AHA Western Affiliates, and Union Bank trained more than 3,000 people in “Hands-Only CPR” during the pre- and post-parade festivities in Pasadena, California. 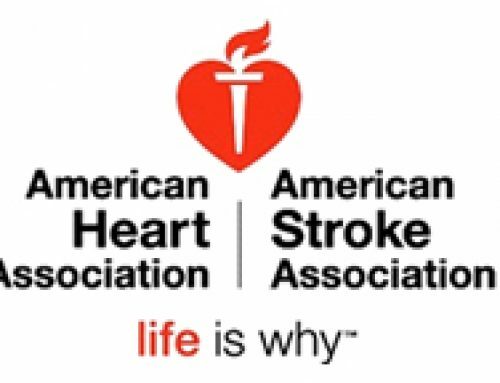 Palm Desert Resuscitation Education LLC joins the Go Red For Women Luncheon on February 17, 2017! 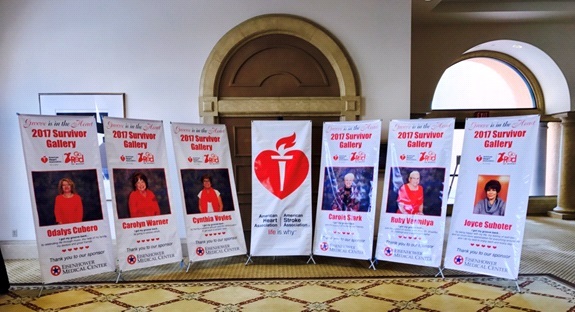 Above are the 2017 Survivors Gallery of women who all share interesting and moving stories of the impact of heart disease in their life. Some remembered and recollected their frightening experiences of a heart attack; how each one survived to tell about it; and now live to promote lifestyle modifications for prevention of heart attacks in women, giving first-hand the telltale signs and symptoms of typical and sometimes atypical signs and symptoms of acute coronary syndromes (ACS). 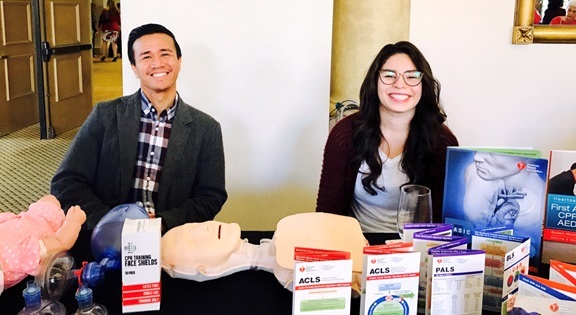 On February 17, 2017 Palm Desert Resuscitation Education LLC (PDRE LLC) worked alongside the American Heart Association (AHA) Business Development Director (Mrs. Ellyse Lathrop) and Division Coordinator (Mrs. Hilda Hernandez) for the Coachella Valley Division, to promote the 2017 “Go Red For Women” Luncheon at The Westin Mission Hills Golf Resort & Spa in Rancho Mirage, CA. 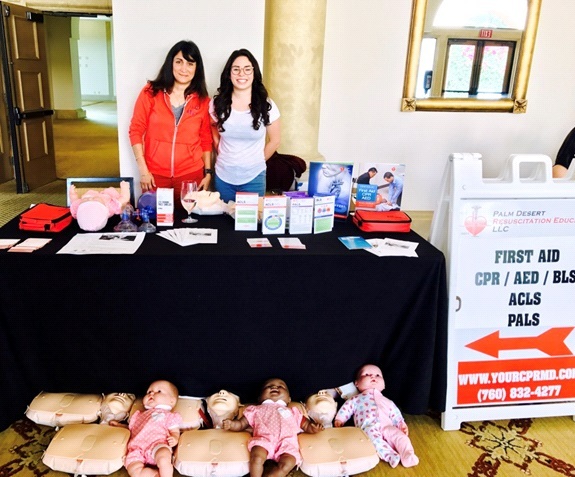 Our Amazing PDRE Staff and Team Members – AHA Instructor Natalie Awad, RN & Joy Castillo, Coordinator! 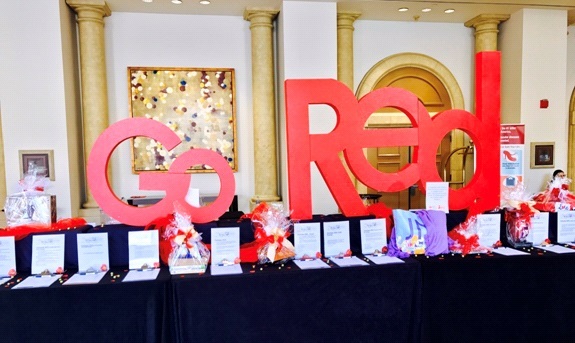 Thank you for all of the Go Red For Women Donors, Sponsors, Friends, and Guests! 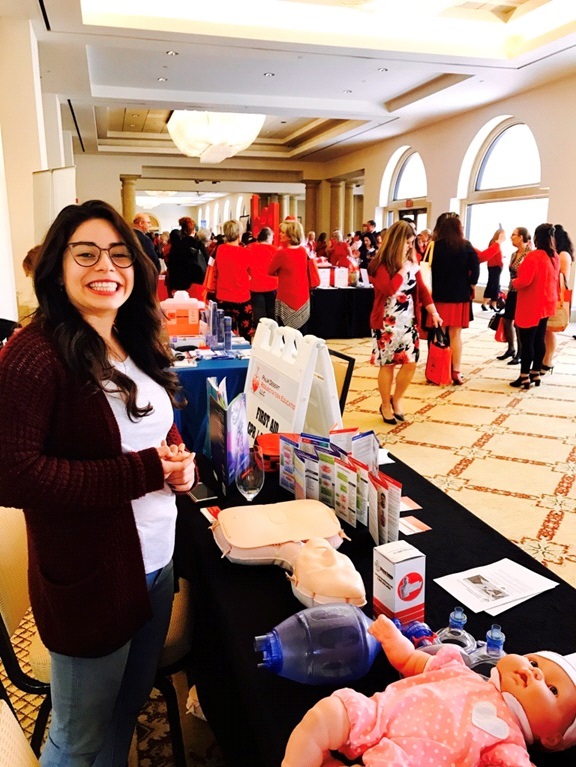 Our excellent PDRE Team Members volunteered and donated their time to help the cause for Go Red For Women, which brings in impactful donations from individuals striving to aid in the prevention of heart disease in women for the past 10 years. 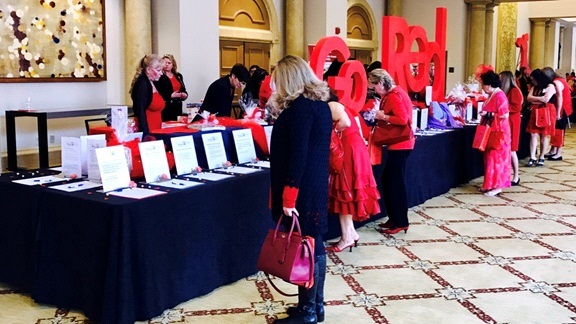 In fact, this Go Red For Women event literally reaches more than 627,000 women who are saved from heart disease and talks about the unfortunate and unlucky women who succumb to the consequences of life threatening heart disease. We not only taught and educated our exceptional and enthusiastic AHA donors but as well as our first-rate sponsors, business affiliates, friends, and guests, cultivating and promoting the American Heart Association (AHA) women’s guidelines and the recognition and treatment of heart disease in women because of the next following statistical facts: This is the number one cause of death in women and has jumped from 22 percent to now a staggering 50 percent. It causes about 1 in 3 deaths in women per year, making that one woman every minute! Above shows our entire guests during the Go For Red Women Luncheon! It was a great turnout for the cause! 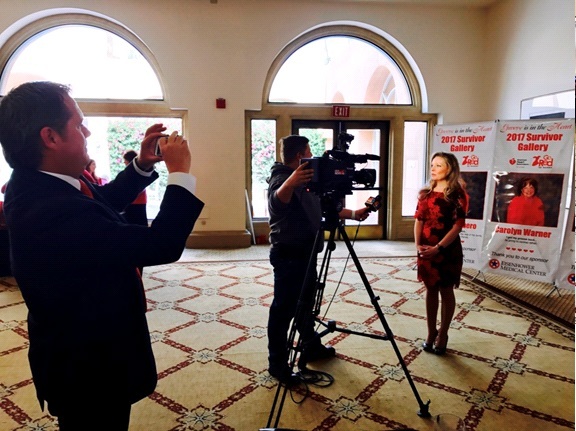 The Desert’s Local News, KMIR, broadcasting the Go Red for Women Luncheon. 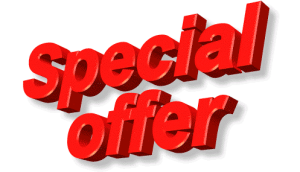 Now serving training and certifications in AHA CPR, ECC and other Non-AHA classroom-based and out-of-site courses and classes! 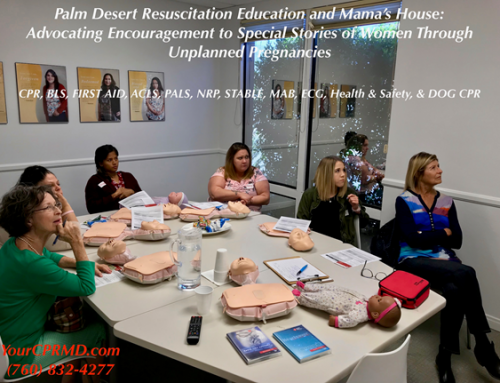 Please join our fun and exciting classes and courses to learn more about life-saving skills that includes CPR, First Aid, and other critical knowledge to prevent and, hopefully, stop the number one killer in women! 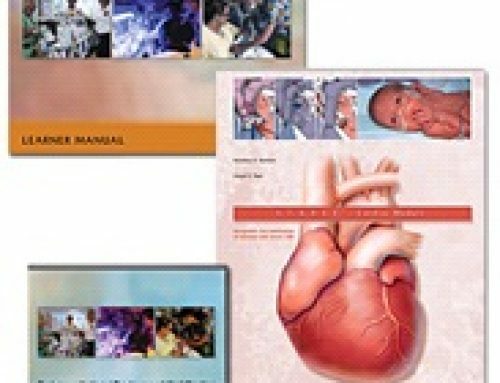 Topics that you will also get to learn are the typical and atypical warning signs and symptoms of acute coronary syndrome (ACS), especially in women. 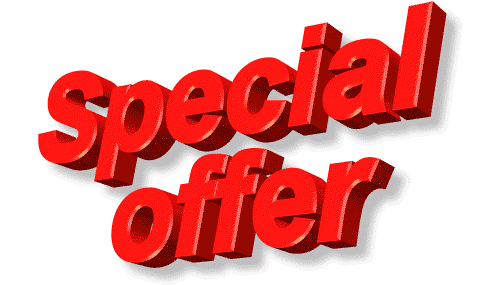 So…please try to help us stop the leading cause of death in women – join our classes and courses! 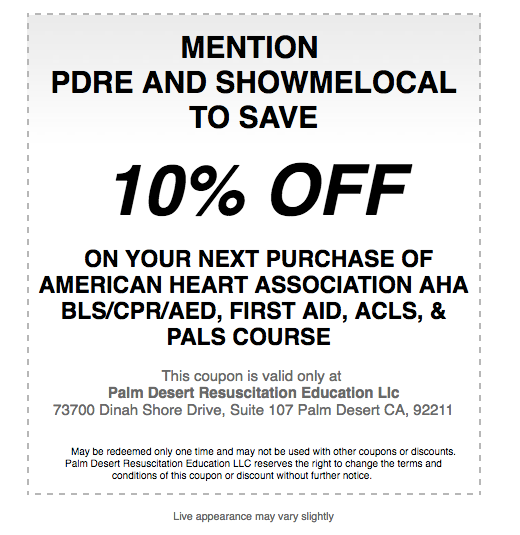 Sign up here with Palm Desert Resuscitation Education!